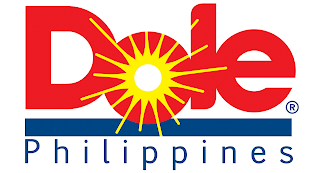 More employment opportunities are being offered for qualified individuals at Dole Philippines, Inc (Dolefil), one of the largest multinational companies operating in South Cotabato. Here is the latest job hiring announcement from Dolefil. Bachelor's Degree preferably in Agriculture courses. Knowledgeable in agriculture operations and company-wide systems/ procedures. Has positive work attitude and results oriented. At least one (1) year experience in QA related jobs. Can communicate and work with technical and non-technical personnel. Bachelor's Degree in Mechanical, Chemical or Civil Engineering. Must be a licensed engineer. At least one (1) year experience in coordinating projects in a food processing and manufacturing plant. Knowledgeable in mechanical and structural engineering, food equipment, and HVAC & R designs. Has R & D skills and Project Management. Has positive work attitude and result oriented. Can handle complex production requirements. Bachelor's Degree in Food Sciences, Chemical Engineering or it's related courses. At least 1-2 year experience in food industry and printing plant. Knowledgeable in food processing, sanitation GMP/ISO 9001, food safety, HACCP program and implementation. Equipped with auditing skills and database management. Bachelor's Degree in Civil Engineering (licensed) or equivalent. At least 1 year experience in field operations. Knowledgeable in Good Agricultural Practices (GAP). Knows how to drive and bearer of a driver's license.